I grew up eating a ridiculous amount of white rice. I was extremely picky, and I think my mom just got tired of me not eating anything, especially considering I was the youngest of 4 kids. White rice with butter and soy sauce was something I would always eat. Still, to this day, I love it. When I was a kid, it had to be white rice. Not brown, not wild or anything that had weird different colored pieces in it. I must have been such a joy to live with. Ha. As I grew older, travelled around the world, my palette grew, mostly because there weren't other choices. When I was in Nicaragua in high school for a volunteer trip, I learned to love fried plantains, rice and beans. Now that I have kids of my own, I am trying to expose them to more foods, as my mother did. Sometimes it works, sometimes it doesn't. 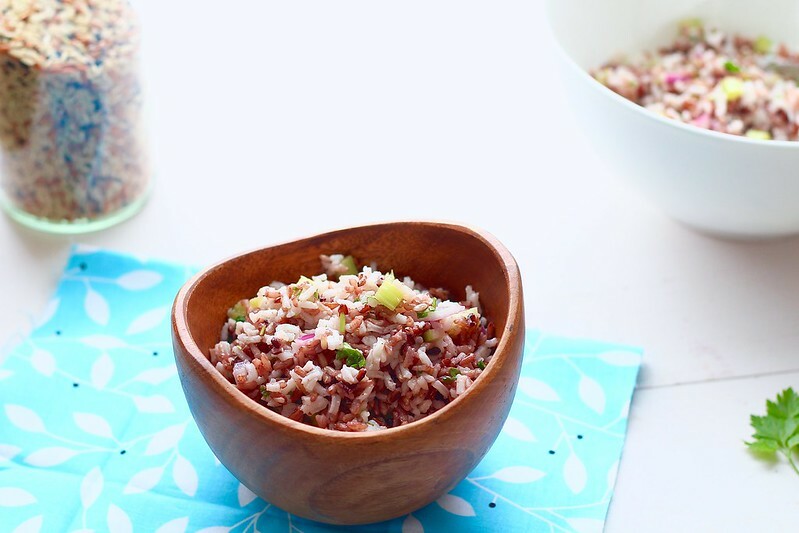 This super simple rice salad is something that I encourage the kids to eat just because it's a way to get away from their similar love of white rice, but it's not a super complicated dish. (And no, this isn't exactly exposing my kids to a super unique dish. But, baby steps people. Baby steps.) I personally love this dish, as well as my husband. He always requests a jar full in his lunch the following day when we have this. It's perfect to eat cold or at room temperature. Everything about the flavors in this dish are on point. It makes an excellent lunch, or side dish for dinner. And, leftovers are even better. You won't regret making this Sunday night for your week lunches. Place the white rice in a saucepan and cover with 3 inches of salted water. Bring to a boil, reduce to a simmer, cover, and cook until tender 15-20 minutes. Drain and rinse under cold water until cool to the touch. Drain thoroughly and place in a large bowl. 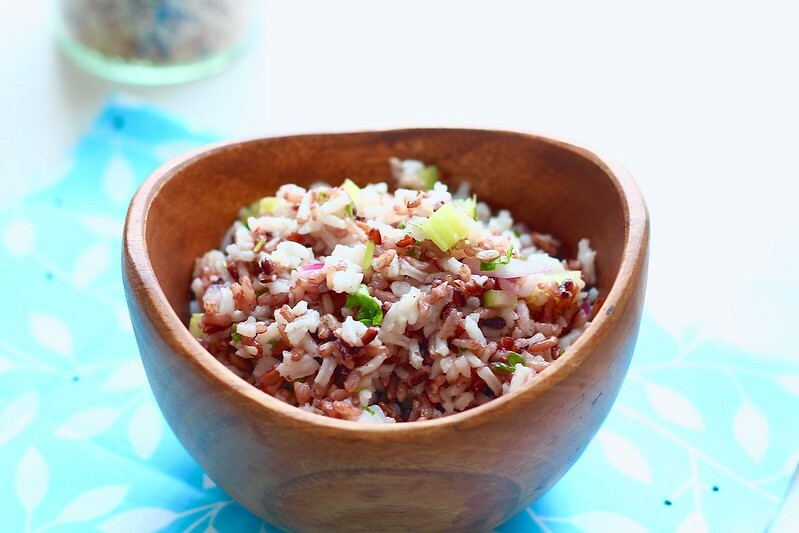 Meanwhile, place the wild rice in a separate large saucepan, and cover with several inches of salted water. Bring to a boil, reduce to a simmer, cover and cook until tender, 30-40 minutes. Drain, rinse under cold water until cool to the touch. Drain thoroughly again and add to the bowl with the white rice. Stir in the onion, celery and parsley. In a glass measuring cup, whisk together the dressing ingredients. Add salt and pepper to taste. Pour over the rice mixture and toss to mix. Taste and adjust seasonings as necessary. Serve immediately, or refrigerate until ready to serve. Refrigerate any leftovers.